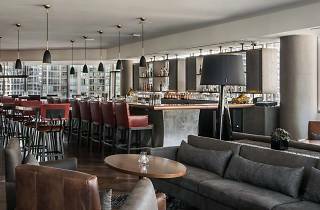 An approachable, bourbon-centric restaurant located on the 20th floor of the Conrad Chicago Hotel. Chef Richard Sandoval has partnered with Chicago local, James Lintelmann, to create Baptiste & Bottle, named after Chicago's first resident, Jean Baptiste Point du Sable, where you enjoy an elevated dining experience featuring regional menus paired with a one of a kind bourbon and cocktail program surrounded by views of the Chicago skyline. El: Red to Grand. Bus: 125. We visited with an out of town guest right after Thanksgiving. If you love Bourbon, this is a sweet spot to check out. They have a solid ginger mule but also a fine selection for someone looking for out of the ordinary liquors. The seats are cozy and cushy and our server was very knowledgeable and helpful. I am not sure why I don't go to hotel bars more. There was no wait and we were seated right away on a Saturday night. This is a great spot for a chill evening and conversation. I visited Baptiste and Bottle just before Christmas with a large group of co-workers. 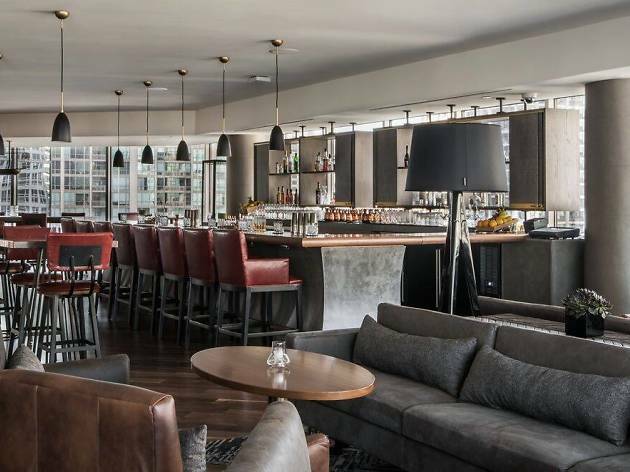 The restaurant is on the top floor of the new Conrad Hotel in River North just a block away from work so obviously I love the location. The door staff was really friendly when we asked how to find the restaurant which I appreciated. When we got upstairs I was impressed with the decor. It's masculine without being too heavy, perfect for a modern Bourbon bar. Since we only got drinks I can't review the full experience but my drink, the Prince Edward, was really well made with a cool presentation. I hope to visit again soon to try more drinks and the food.